You may also want to add the matching treat jar. 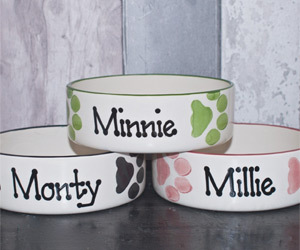 Ceramic dog bowls with paw prints design, handmade and hand painted in the UK. 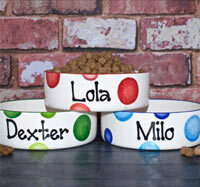 These bowls make fantastic gifts for dogs and dog lovers. 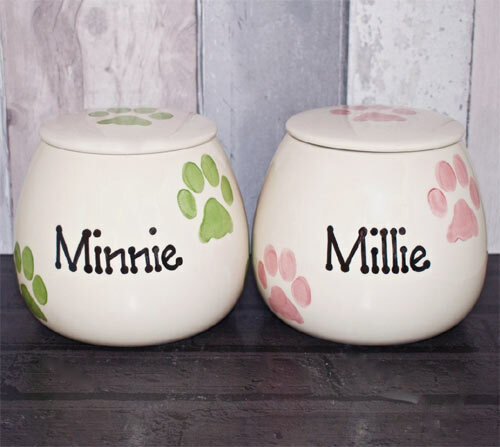 Hand painted with paw print design in your choice of colours and personalised with your dog's name or short text of your choice with three font styles to choose from. Each bowl is then glazed and fired for a quality lasting finish. Each of these pottery pieces are unique and a certain amount of non-uniformity is part of the process and therefore part of the charm. Each item is hand crafted. 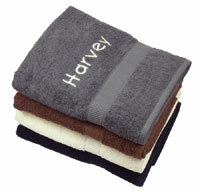 The clay is hand painted in black stain with your choice of personalisation. 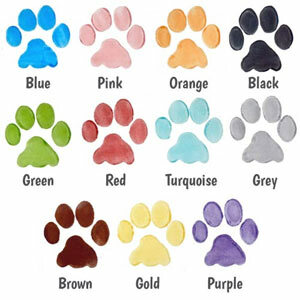 The design is then painted on in a colourful ceramic paint, finishing with the rim. Once dry, each item is hand dipped in glaze, hand rubbed down and dry footed before being kiln fired and left to cool. 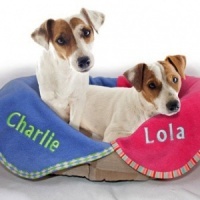 We know you will appreciate the time and work that goes into them and their unique handmade charm. We were really pleased and thrilled with how the bowl turned out. 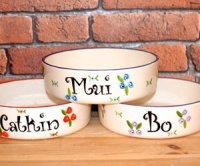 Really good quality and lovely to have a personalised bowl. 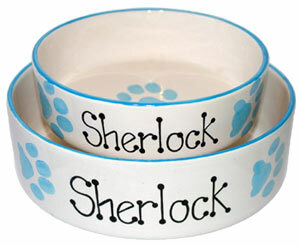 We would highly recommend that any one thinking about purchasing one of these bowls, should just do it. Very well made graphics are spot on perfect size for poppy. Being used as a water bowl. 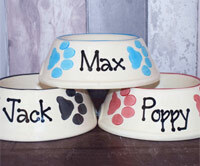 Bought two of these bowls, excellent quality and "Alfie" our dog who has impeccable taste loves them ! 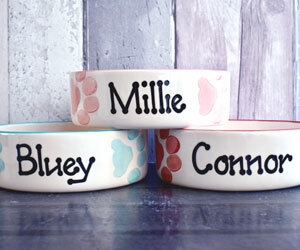 So pleased with the bowls, colours match my kitchen and I love having her name on them. Delivery was great and very well packaged. 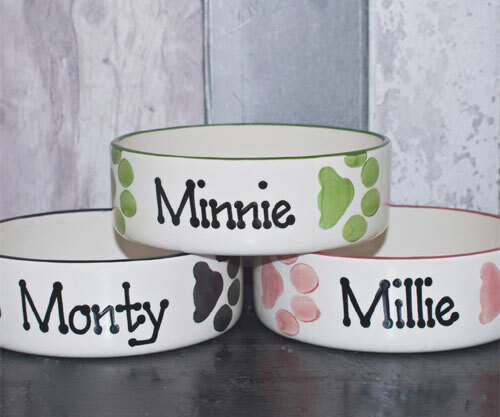 Personalised bowls for Christmas - will my dogs care?!!!! I decided it would be nice if my two cocker spaniels had matching bowls. Loved these so had two made. Great decision as they look fab. Arrived within a few days and well packaged. As I am keeping them for Christmas, I haven't tried them yet: though I don't suppose my dogs will really appreciate bowls as presents. They would much rather have the contents!! I will however need to take care when using them as they are not as robust as the current ones - but I didn't expect them to be. After breaking the bowl I had for my black lab, Bree which was bought when we brought her home at 8 weeks old, I knew I was going to be particular about a replacement. D for Dogs did not disappoint. 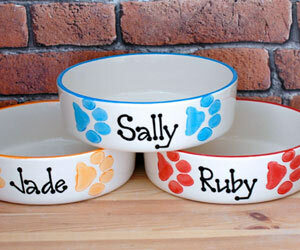 Nice, solid dish with nice paw prints design - just the job! Delivered promptly with no hassle either. Will be shopping again and also recommend to friends. 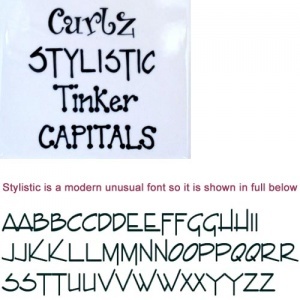 I purchased 2 of bowls from this company with names on just in two diff designs. Bowls are nice but fairly shallow which I didn't think about when ordering so for a large dog they may not be deep enough. As I said though they are nice bowls.